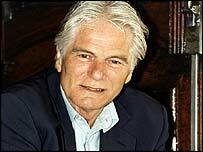 Actor and pop star Adam Faith has died from a heart attack at the age of 62. The 60s entertainer died early on Saturday after falling ill the previous evening. Faith had been staying at a hotel in Stoke-on-Trent, Staffordshire, where he was starring in the Regent Theatre's Love and Marriage. He was taken ill at the hotel after Friday's performance and was rushed to hospital, but doctors fought in vain to resuscitate the actor who had a history of heart trouble. Faith, who lived in Tudeley in Kent, leaves a wife, Jackie, and daughter Katya, aged 32. Faith's agent Alan Field said: "He had a major heart attack and died around 2am. "He completed last night's show. In the early hours of this morning he got into difficulties. "The emergency services were called and he was taken to hospital. He was in cardiac arrest at the hospital and he never regained consciousness." Born Terry Nelhams on a council estate in Acton, west London, Faith went on to have an eventful career as a singer, actor and businessman. Paying tribute, Mr Field said: "Terry, or Tel, as we called him was one of the best communicators that I ever knew. "It could be a taxi driver in the street or a member of royalty - he was able to communicate with everybody at every level and he was respected and loved by them all. "He came through in the pioneering days of pop music and he really was a big icon along with Cliff Richard - they were the first wave of the British version of the pop music world." During the 1960s Faith was one of Britain's top three pop stars alongside Cliff Richard and Billy Fury, with chart hits including number one singles What Do You Want and Poor Me. In the 70s he starred as the chirpy cockney, just out of prison, in the classic television series Budgie, written by Keith Waterhouse. Alan Yentob, the director of drama, entertainment and children's programmes at the BBC, where Faith worked throughout his career, said: "It's very sad news. "Adam was a hugely likeable man, always exuberant and a very dapper all-rounder. 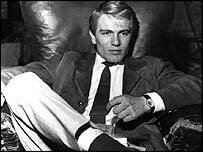 "No-one could have had a more varied career than Adam Faith. "A messenger boy who became a 50s rocker, a TV star-turned-record-producer who then improbably transformed himself into a financial journalist and media entrepreneur. "The TV pantheon will surely find a place for 'Budgie', and for his many funny, moving performances as Frank Carver in 'Love Hurts'. "I'm one of the scarce people who remember him from his earliest TV appearances on the '6-5 Special'. We'll really miss him." Faith moved away from showbiz in the early 80s, becoming a financial investments adviser. But in 1986, he had open heart surgery to treat seriously blocked arteries. Faith then took up financial journalism, with a regular column for the Daily Mail and then the Mail on Sunday. And in 1999 he was behind the development of digital television's The Money Channel. But the venture soon ran into difficulties, the channel closed down and Faith was declared bankrupt last year, reportedly losing £32m. Friend and former BBC Radio 1 DJ Tony Blackburn described Faith as a kind and genuine person. Speaking on BBC News 24, he said: "He was a bit of a workaholic. "He just put everything he had into what he was doing at the time. "But the main thing I remember about him more than anything else is he was just so nice. "There was no ego there. "He was always very, very kind and he would always come over and he was the most friendly person I think I have ever known." Faith's friend David Courtney paid tribute to an entertainer whose career was on the up. He told BBC News 24: "Anything he took up he would perfect at. "He would use it as a challenge and then he would tend to drop it and move on to the next - from learning to fly a helicopter to karate to whatever he would take up - he would perfect it and then move on. "And he was really on a very big up going back into acting on stage and it was a new chapter in his life." 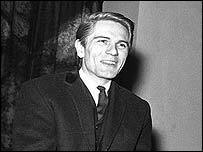 "Adam Faith moved with ease from music to acting"